On the night of August 6, 2014, Daesch (ISIS) swept across the Nineveh Plain of northern Iraq causing hundreds of thousands to flee to relative safety in the Kurdish area. Our own Dominican Family was included in this exodus. Since then they have not only had to deal with the trauma of this unfolding event, but also have come to the physical and spiritual aid of the many internally displaced persons with whom they live. 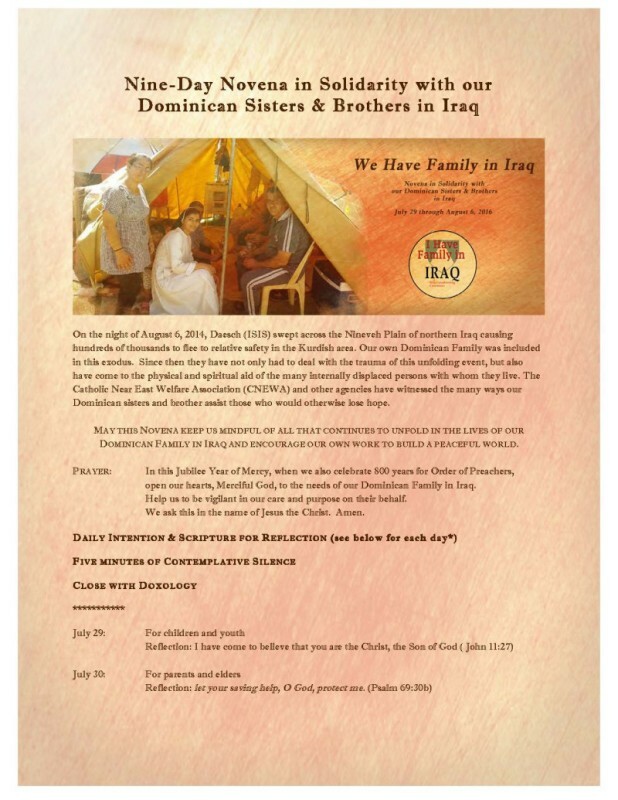 The Catholic Near East Welfare Association (CNEWA) and other agencies have witnessed the many ways our Dominican sisters and brother assist those who would otherwise lose hope.